Point à la ligne: Meat is SO last season! It’s not about losing weight. It may be just a phase, but to most people, it’s a belief! It is called The Vegetarian Diet. 1. 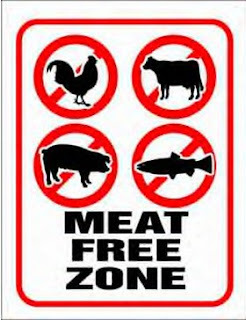 Strict vegetarian or vegan diet: It’s a diet that excludes ALL animal products including meat, fish, poultry, eggs, cheese, milk and other dairy products. 2. Lacto-vegetarian diet: It excludes meat, fish, poultry and eggs but includes milk and dairy products. 3. Lacto-ovo-vegetarian diet: It excludes only meat, fish and poultry. Eggs, milk and dairy products are allowed. 4. Flexitarian: This is a semi-vegetarian diet that focuses on vegetarian food with occasional meat consumption. It is not recognized by the Vegetarian Society. Why do people go for a vegetarian diet? There are many reasons that could push a person to become a vegetarian. Some people do it out of compassion for all the animals being brutally slaughtered; others because it has a better impact on the environment. A lot of people become vegetarian for health reasons. Research shows that vegetarians are less likely to suffer from obesity, type II diabetes, high blood pressure, coronary heart disease, some cancers, diverticular disease, gallstones, appendicitis and constipation. 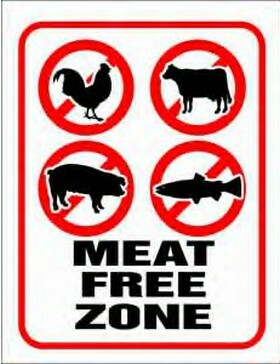 Other reasons include religion, aversion to meat and economics; it is simply cheaper to be a vegetarian. All animal products are rich in proteins which is a very important nutrient. The need for protein for an adult is around 1g/kg of body weight. So let’s say you weigh 75kg, you will then need approximately 75g of proteins. Athletes and bodybuilders definitely need more. This nutrient helps building bones, muscle, cartilage, skin and blood. Basically, it is important for growth and maintenance of the body. They also contain B vitamins that serve a variety of functions in the body. They help the body release energy, play a vital role in the function of the nervous system, aid in the formation of red blood cells and help build tissue. These products, especially red meat, are a very good source of Iron. The latter is also very well absorbed by the body. Iron helps carry oxygen in the blood. And a deficiency in this mineral can cause anemia. Providing enough iron is critical in women as they lose a lot of blood due to period. Calcium, Magnesium and zinc are also provided by animal products. The first is used in building bones. The second helps calcium in its function and releases energy from muscles. The third is necessary for biochemical reactions and helps the immune system function properly. Fish and seafood contain Omega 3 fatty acids. The latter are essential fatty acids that have many health benefits including a reduced cardiac risk. Well, we’ve listed the good and now it’s time for the bad. Animal products are very rich in saturated fats. These are the bad fats and they are responsible for elevating blood cholesterol levels. They increase the risk of heart disease. Red meat is also known for containing lots of toxins that are harmful for the body and that increase the risk for cancer. 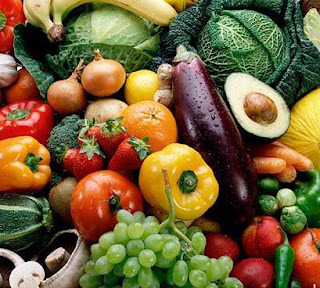 Can vegetarians have all the nutrients they need? Proteins: they can be easily provided by the consumption of beans and other legumes, nuts and soy products such as tofu, tempeh, etc. Vegetarians who consume eggs or dairy products can also get their proteins easier. Iron: it can be provided through fortified breakfast cereals, spinach, beans and other legumes and some dried fruits. It is important to add a vitamin C source (lemon juice) to beans and spinach in order to enhance the absorption of iron. Calcium: well, if you’re consuming dairies, this shouldn’t be a problem for you however, if you’re a vegan, then you should probably go for enriched soy milk, fortified breakfast cereals and some dark green leafy vegetables. The absorption of calcium varies in all these products. So, always check with your doctor if you might need a supplement. Zinc: non animal sources of zinc include fortified breakfast cereals, chickpeas, kidney beans, white beans and pumpkin seeds. Milk is also a good source. Vitamin B12: Fortified foods such as cereals, soymilk, veggie burgers and nutritional yeast can provide the necessary amount of vitamin B12 needed by the body. Omega 3 fatty acids: they are present in flaxseed, flaxseed oil, canola oil, tofu, soybeans and walnuts. What about pregnant women and kids? A vegetarian diet is one of the healthiest diets. It can provide all the nutrients the body needs even during pregnancy and growth. Pregnant women should make sure that their diet contains sufficient iron, vitamin B12 and vitamin D. Kids have high needs in protein, calcium, iron, zinc, vitamin B12 and vitamin D. So they should have a very well planned diet if they’re going vegetarian. It’s not that easy and it’s not that hard! There are a lot of nutrients to take into consideration, but nowadays, products suitable for vegetarians have become in your reach. If you really want to become a vegetarian and you still have concerns regarding your nutrition, you can consult your dietitian for a well balanced diet. For a typical bodybuilding trying to jump into this vegetarian diet craze, a good alternative to meat for that substantial protein to build lean muscles is tofu or solid soya. I tried that for a while but still couldn't give up my meat just yet, but it does work. the item unveiled with 1986, completely new modifications were being additionally introduction to back up this Ironman check out line. In step with that, this fake chanel handbags wedding band replacing happened choice to cracked in addition to used up artists. Before long, ıt had been needed to swap most of these silicone wristbands of which not did wonders. Swapping ones fake rolex watches wedding band will also be intended for ease or maybe a transform any way you like. Unique forms of most of these interchangeable artists is usually looked at throughout the World-wide-web in addition to malls.